Should You Repair or Replace Your Patio Doors? Today I'm talking with Keith Church who works in specialty windows and doors at our Lake Union location. Keith has over 30 years of experience as a manager and sales rep for brands including Marvin, Integrity, and Milgard, and has contributed his expertise to The Seattle Times. As the weather gets cooler and wetter this month, we're thinking about how to protect homes from elements like wind and rain—that includes taking a good look at patio doors, which are often one of the largest pieces of glass in a home. 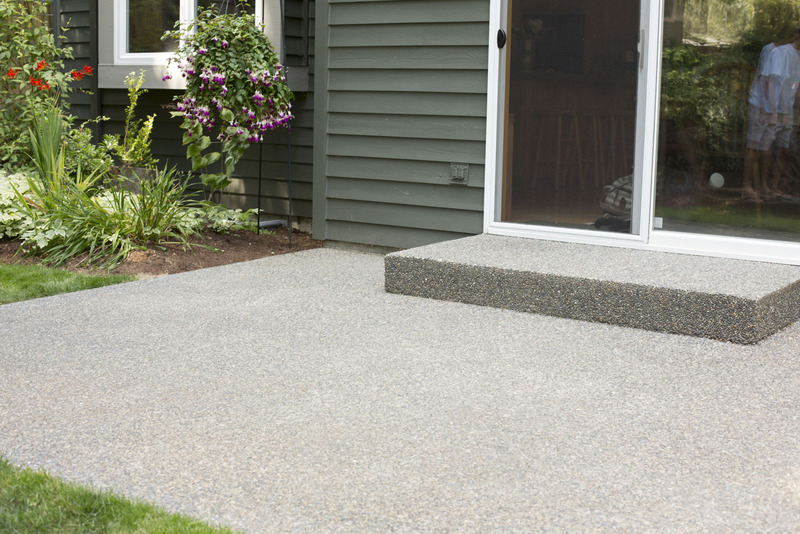 If you're feeling a draft, it's time to consider replacing or repairing your patio door. Today, Keith is answering some of the most common questions about how to know when it's time—and what to do when it is. Q: What are some tips for repairing an old sliding patio door that leaks or has moisture problems? There is a weeping system that all patio door thresholds have. There are two little holes (one on each side) of the threshold so moisture can hit the face of the sliding door and continue down into the track where it finds its way out. If those holes are plugged up by dirt, insects, or debris that has built up over the years, the water's not getting out. When you get enough moisture hitting that panel and the tray fills up, you get an overflow, and water or moisture accumulates inside. I've seen people try to caulk that old patio door. They go up one side, across the head, down another side, and finish with a strip of caulking at the bottom of the door, which blocks the weep holes. It's important to keep those weep holes open so that water and moisture can get out. Q: If my patio door has damage to the glass, should I try to repair the door glass or replace the entire patio door? There are a couple of glass companies that will sell you a piece of new patio door glass, but there's a good chance you'll spend every bit as much as you would on an entirely new patio door. The glass has to be delivered to your home, and you must have a proper staging area ready to go, because the glass is heavy, fragile, and difficult to move and store without accidental breakage. Glass companies charge a lot because they're taking on a lot of liability to take that door apart to get the new glass installed without breaking the new glass. You're usually better off buying a new patio door, which offers better performance using current technology. A new patio door also includes a factory warrantee against glass seal failures for 20 years. Q: What are some of the warning signs that a patio door is showing wear or is starting to fail? An older, aluminum door that doesn't slide well just doesn't feel good—the door may grind as it slides. The patio door can be one of the largest pieces of glass in a house, and you may be feeling cold come through this very large expanse of glass. It could be that the door is old enough to be single-pane glass, or if it is insulated glass, it may not have a low-E coating that is common on all window and door products today. If you're feeling air, that's because the weather strip has gone bad or is missing. When the door doesn't feel good, it's a great reason to think about a new door. Q: What would be a reason to replace an old patio door that might not be as obvious as visible wear-and-tear or a door that's cold to the touch? It's difficult to know if there's any moisture damage or wood rot happening on an old door installed a long time ago with a tube of $1.99 caulking that hasn't been looked at in 35 years. You may have had a breach between the caulking joint and the siding that's been there for years with moisture accumulating that you're not even aware of. And until you pull the door out, you won't know whether you actually have a sound opening or a compromised opening with some rot and decay going on. Q: What are some of the advantages of replacing a patio door? 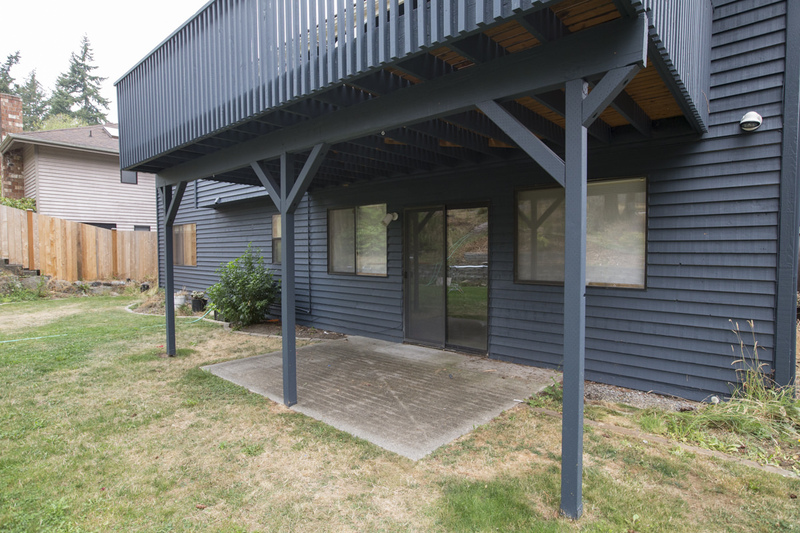 One homeowner might be looking to replace a functional part of their house and doesn't want anything more than a vinyl sliding patio door. What they're really looking for is good functionality at a lower price. Replacing patio doors can be like buying a reliable family car. You don't want to have to think about it too much; it just does its job. The new patio door holds back the weather perfectly and helps keep your house warm. But another homeowner might be trying to add a piece of art to their house. Premium doors add quality and sophistication to any home. I had a customer that I got to know very well tell me, "I know this sounds like some kind of an advertisement, but I get joy every time I walk through my new door." He bought a pair of French doors with multi-point locks. When you use a premium patio door, you come to enjoy it. Homeowners and their guests will physically use patio doors, allowing the user to feel how nicely a new patio door slides. Because doors are often a focal point in high-traffic areas, we often have people buy premium door products to go along with their more budget-friendly vinyl window packages. Dunn Lumber offers several patio door options. You can get a new patio door with a wood interior that can come stained or not stained, painted or not painted, or primed for you to put your own paint on. You can choose from 19 colors on the exterior to make it pop with anything, from red to gold to copper to silver—and the paint has a 20 year warranty. Patio doors with dark exteriors and dark interiors are trending these days. These premium patio doors are amazing products that allow a homeowner to really appreciate how it looks—and how it functions. 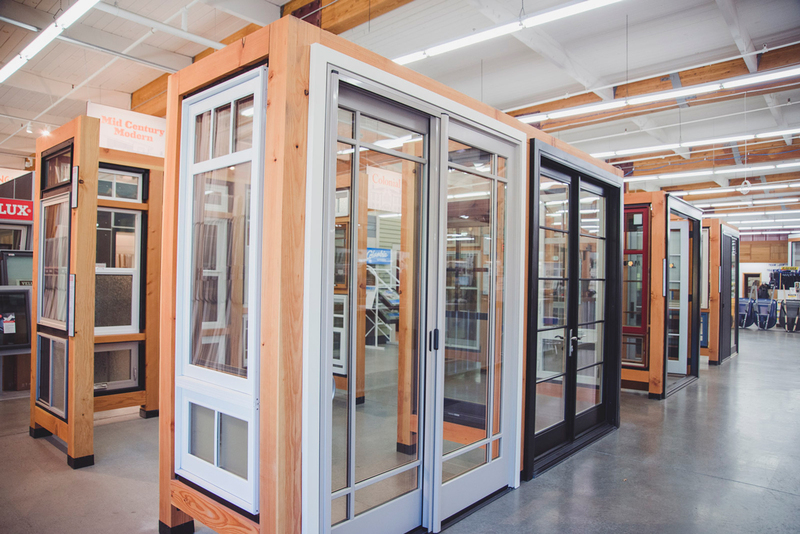 If you have any questions about patio doors, feel free to email Keith, or visit a Dunn Lumber window and doors showroom at any of our nine Seattle-area locations. What is green building, why would a homeowner or company choose to work with green materials, and how did green building become commonplace in the construction industry? Don't replace your windows before you consider the important benefits of hiring a contractor in this post from Dunn Lumber President Mike Dunn. Architect Katherine Pelz and master craftsman Daniel Westbrook discuss the house lift process including advantages, challenges, and how to get started.